It has been more than ten years since the Minnesota Supreme Court decided a case which addressed antenuptial agreements in a significant way. This May, in Kremer v. Kremer, the Supreme Court further clarified the standards which apply to antenuptial agreements which address both marital and nonmarital property and which were entered into after August 1, 1979. In doing so, the Court partially overruled precedent which has been at the center of antenuptial law in Minnesota since 1989. Robbie and Michelle Kremer lived together at Robbie’s farm in Fulda, Minnesota for almost three years before they decided to marry. Robbie owned and ran the farming operation, and Michelle worked on the farm and outside of the home. Michelle was divorced and had three children from her first marriage. They decided to marry in the Cayman Islands. Before the couple was engaged, Robbie had told Michelle he would require an antenuptial agreement if they ever married, but the two never discussed terms. During their engagement, Robbie met with his attorney at least six times to draft an antenuptial agreement which impacted the parties’ nonmarital and marital property. Robbie secretly provided copies of Michelle’s tax returns to his attorney. Three days before the couple was scheduled to leave for the Cayman Islands, and after friends and family had already begun to arrive at the locale where the wedding was to be held, Robbie gave Michelle the antenuptial agreement, which he had already signed, and told her to get a lawyer and execute it. Michelle tried to speak to her previous divorce attorney but was unable to. The day before the couple was scheduled to leave, Michelle met with an attorney who she did not know. The attorney explained the agreement to her and advised her about its potential effect. Michelle signed the agreement, and they left the next day to be married. In 2010, Michelle petitioned for divorce and challenged the validity of the agreement. Minnesota courts will only enforce an antenuptial agreement if it is procedurally and substantively fair. The Kremer case revolved around the question of procedural fairness. To answer the question of whether the agreement was procedurally fair, the Supreme Court looked to two sources – statute and common law. Minnesota State section 519.11 gives the test for procedural fairness in agreements which determine rights to nonmarital property, where the agreement was executed after August 1, 1979. Such agreements are procedurally fair if (1) there was a full and fair disclosure of the earnings and property of each party, and (2) the parties have had an opportunity to consult with legal counsel of their own choice. For the first time, the Supreme Court interpreted this statutory test as a “safe harbor” which would automatically validate an agreement affecting nonmarital property as long as the two requirements were met. However, if the requirements were not met, the Court reasoned that the agreement may still be valid under common law. This is where Kremer made more significant changes to Minnesota law. 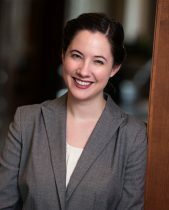 Previously, the Court had ruled that the common law standard for procedural fairness was “substantially identical” to the standard for procedural fairness for nonmarital property as set out by the statute. Where an agreement makes provisions affecting marital property, or where the nonmarital provisions do not pass the “safe harbor” statutory test, the common law test is always applicable. The Court must balance four factors: (1) whether there was full and fair disclosure of the parties’ assets; (2) whether the agreement was supported by consideration; (3) whether both parties had knowledge of the material particulars of the agreement and how those provisions impacted the parties’ rights in the absence of an agreement; and (4) whether the agreement was procured by abused of fiduciary relations, undue influence, or duress. 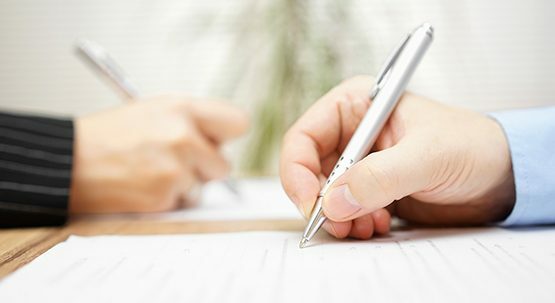 While this test may have been on the minds of family law attorneys before now, it has become clear that in order to make absolutely certain an antenuptial agreement is procedurally fair, parties should endeavor to pass both the statutory “safe harbor” test as well as the common law balancing test. The good news is that complying with the statutory safe harbor does not require any additional steps – a full and fair disclosure of assets and the opportunity to consult with counsel of one’s choice are both considerations under the common law balancing test. Unfortunately, the balancing test is less cut and dried than the statute, and introduces some uncertainty into the process. If you are considering entering into an antenuptial agreement, the best practice is to give you and your spouse-to-be plenty of time to negotiate the terms, disclose your debts and assets, and consult with legal counsel. The more considered the process is, and the more information both parties have going into it, the better the odds are that the agreement will be ultimately enforced by the courts in the event it is challenged.